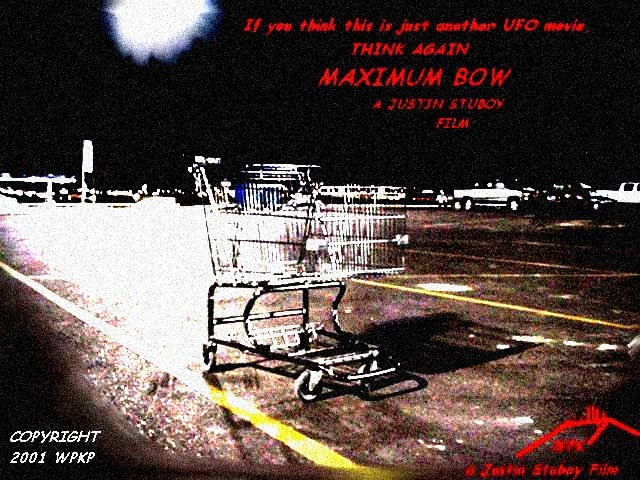 Maximum Bow is now finished The movie is a parody of Steven King's "Maximum Overdrive", but with a way different plot, and totally different story line (and much better acting (yea right)). But instead of trucks, its carts, thats right, shopping carts! I'm not going to tell you what happens because we dont do that here. It ruins the story when you show the whole movie in the previews. 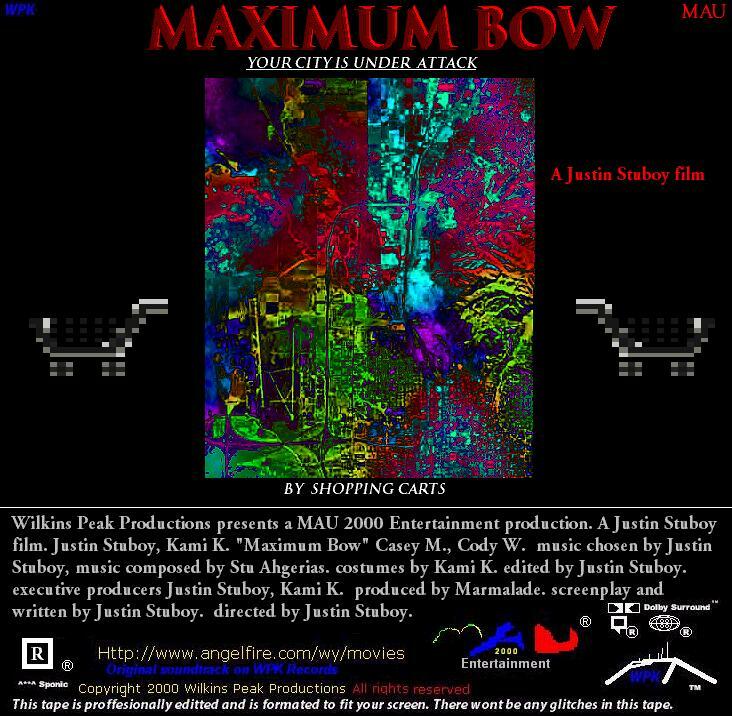 Maximum Bow is scheduled to be released on DVD beginning next year, yet that is official. Thanks to new advances in technology, this movie was digitally editted. Color, 2002, Finished! Check out the smaller poster! This movie stars Kyle F. and Chelsey A. among others.